Nintendo has a reputation among gamers, and likely more often than not, it's a reputation of providing colorful, family-friendly experiences to players of all ages. Or, to put it another way, Nintendo isn't the go-to platform for fans of shooters, blood, gore, adult themes, and so on. It isn't that these types of experiences haven't been available for past Nintendo consoles -- it's just that mature games aren't what Nintendo systems are known for. And while that reputation may not change any time soon, at the very least it seems that Nintendo is open to bringing more adult-oriented games to the Nintendo Switch. "I thought it wouldn’t be possible to release such a game for the Switch, but surprisingly, Nintendo gave me positive feedback,” Aizu said. Speaking anonymously, another gaming executive stated that Nintendo had been "passive" when being pitched mature games in the past, but is now more open to the idea of featuring these types of experiences on the Nintendo Switch. And while this is certainly good news for game fans who like their action with a little more violence and profanity than usual, it's also great news for the Switch in general, as Nintendo isn't exactly known for having a huge number of third-party titles on their consoles. 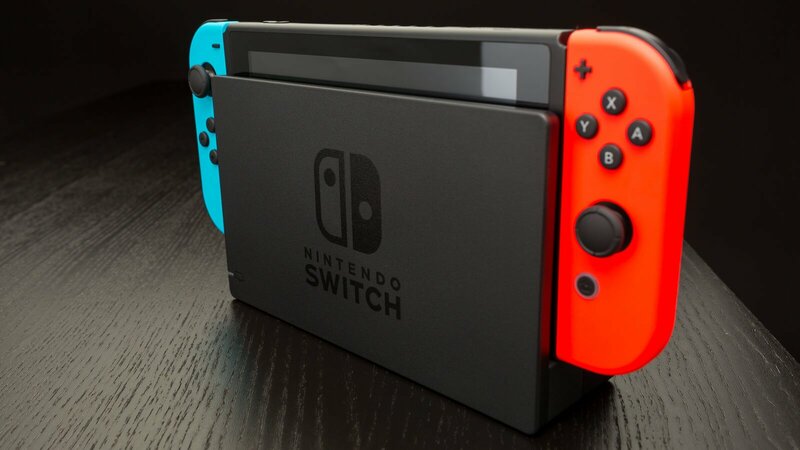 Of course, many Switch players and fans have likely already noticed Nintendo's shift in focus toward third-party support: the company has been highly-public with their relationship with Bethesda and the upcoming launch of The Elder Scrolls V: Skyrim for the hybrid console, and a recent Nintendo Direct presentation announced that both Doom and Wolfenstein II: The New Colossus would be heading to the Switch. Bringing more adult-oriented games to the Switch is a win for everyone: not only will increasing third-party support for the system increase its allure in a rapidly-changing video game market, it stands to broaden the system's appeal beyond the usual sort of family-friendly gamers the Nintendo brand has long appealed to. And it's not like that family-friendly appeal should ever be lost, either, since Nintendo has provided ample options for parents and guardians who wish to set up parental controls using the Nintendo Switch Parental Controls app. Family-friendly or not, the Switch already has loads of great games for players of all inclinations. Check out some of our favorite Switch titles by heading over to our list of the Best Nintendo Switch Games.